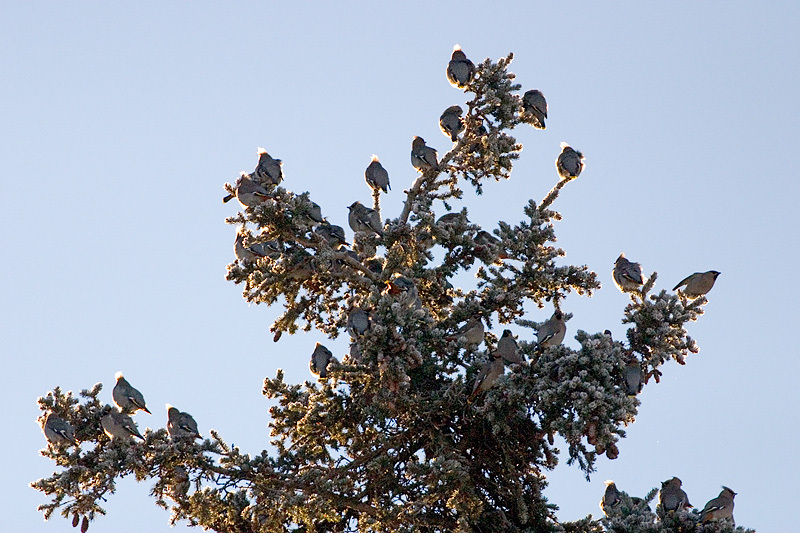 Friday, January 13, 2006 - Bohemian Waxwings congregate on the top of a spruce tree. These birds fly the skys of Anchorage in huge flocks as they hunt for and then decimate the berries found on Mountain Ash trees. This was a cold day with temps. in the teens. You can see the frost on the trees and the birds feathers are all puffed up, conserving heat. This flock was found near Turpin Road, near Muldoon.